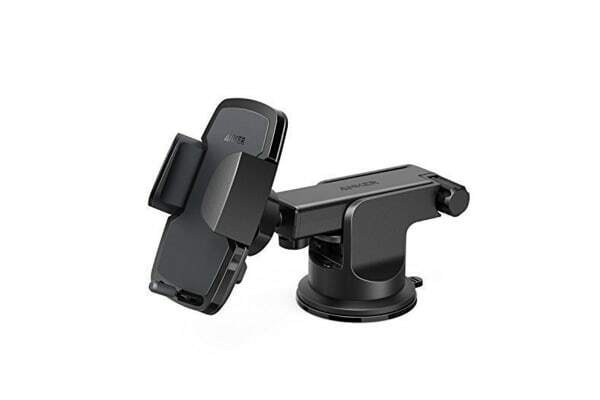 Cradle your smartphone safely or firmly with the Anker A7142 Dashboard Car Mount. A secure spring-loaded cradle with silicone-padded grips ensures your phone stays secure throughout your drive. 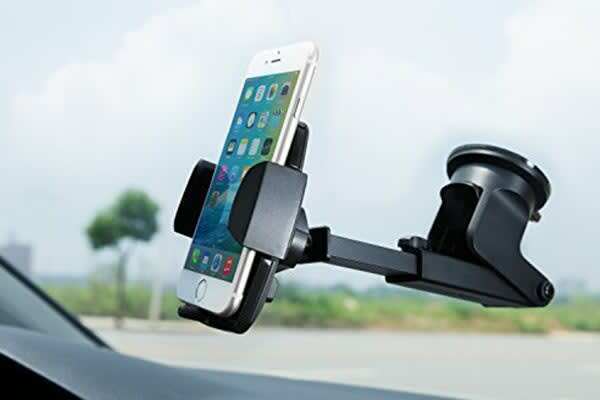 The adjustable design expands to fit almost any phone (2.1 to 3.7 inches wide) and keeps it securely fixed throughout your drive. An extendable arm providing an extra 2.4 inch reach with a 260 degree arc and a highly-flexible ball joint allow you to easily adjust your phone to the perfect angle. Note: Suction strength varies depending on dashboard design (grip may be weaker on uneven surfaces or genuine leather).